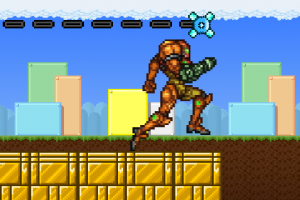 It’s Samus Aran, the heroine of the Metroid series. 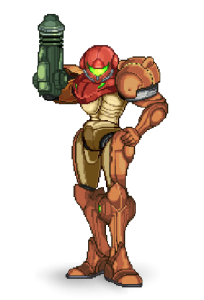 She’s clad in her Power Suit, which protects her from the elements while also giving her access to some unique weaponry. 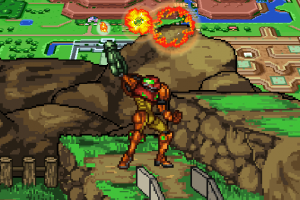 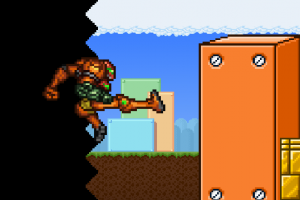 Fans of Samus’ floaty feel and emphasis on projectiles in Metroid games should feel right at home here. 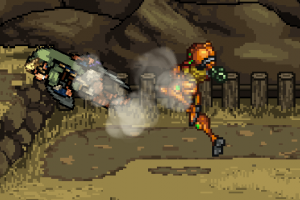 Use a good mix of ranged and melee attacks for the best results!